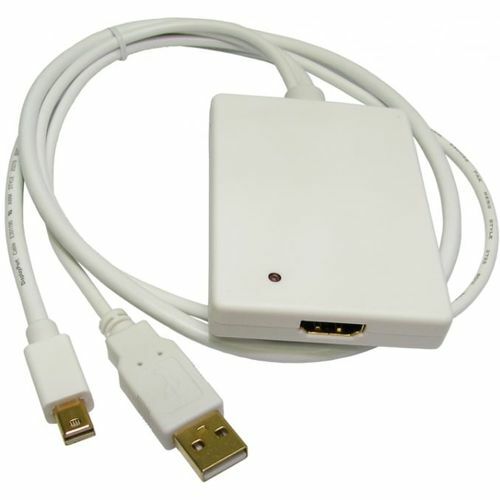 The HDMI-MINIDPUSB allows you to connect a computer with mini display port and a spare USB port to a HDMI device such as HD TV. The mini DisplayPort transmits the video signal while the USB transmits the audio creating a complete HDMI source. Supports HDMI 225MHz/2.25Gbs per channel (6.75 Gbps all channel) bandwidth.